Rowaida Flayhan, a Martha Moments reader from Kuwait who spends part of the year in London, loves to entertain and Martha Stewart is always her inspiration. 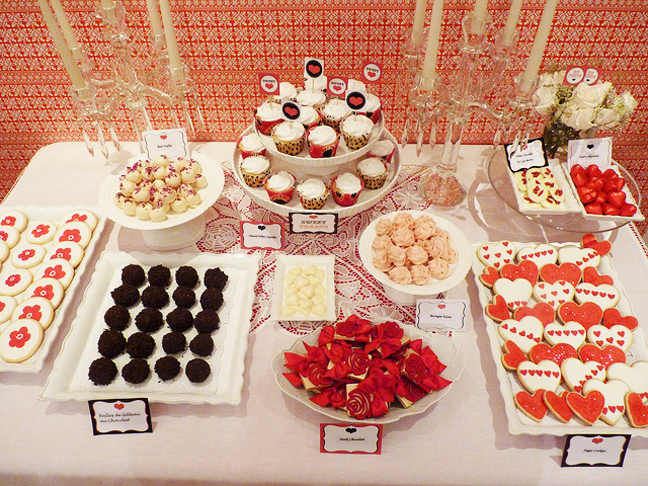 She sent in these photos of a gorgeous Valentine's Day dessert table she set up at her home last year for a party she threw for friends and family. Rowaida made all of the desserts and styled the table. The cupcakes and cookies are Martha Stewart recipes and the other desserts are Rowaida's own creations! As you can see from the photos, Rowaida loves details. She hand-painted the red flowers on some of the cookies and applied edible pearls to their centers. 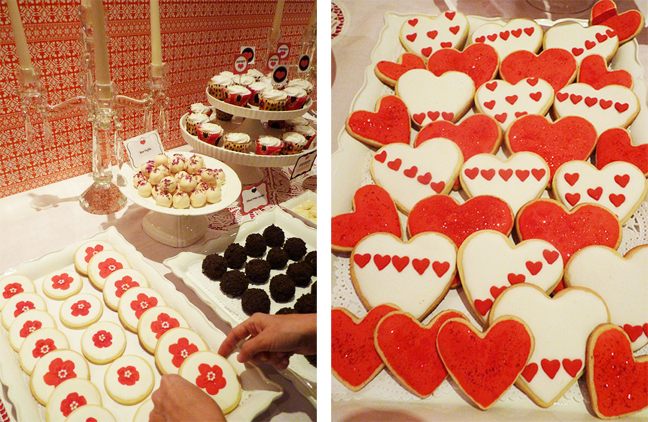 She iced the heart-shaped cookies and decorated them with edible glitter and heart candies. 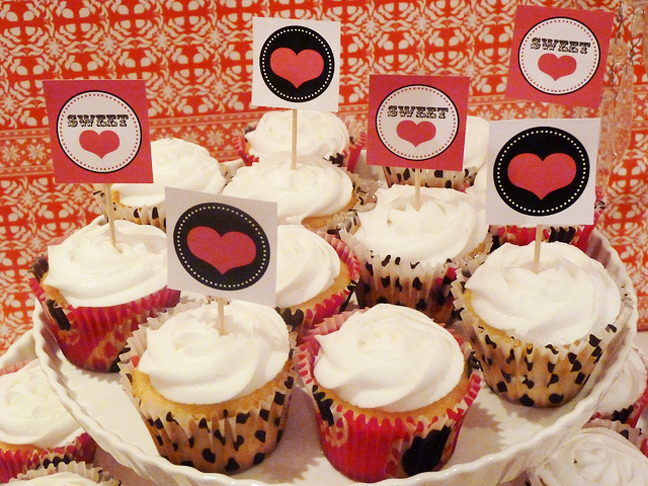 I love the red-and-white palette she used for all of the desserts. The cake toppers and place cards are by TomKat Studio. The entire effect is gorgeous! You can see some of Rowaida's other creations here. Hi Andrew, Thank you so much for featuring my dessert table and thank you for the kind words. Wow! That's really incredible Rowaidaa -- good job! Wow wow wow!! !beautiful dessert table!! Hi Laura, Thank you! And, yes, Rowaida is supremely talented! I do not have a Twitter account, but you can find Martha Moments on Facebook for more news and discussion. An extremely romantic presentation. I Love the colour scheme used. What a gorgeous dessert table.Beautiful work Rowaida!You are so talented! Such beautiful details!! I cannot imagine how long it took to make all those amazing cookies!! Incredible job! As always, Rowaida has excelled herself. I often wish that she would start her own blog to share her travels and beautiful baking creations. Everything looks stunning. Table à dessert beau et a l'air délicieux!